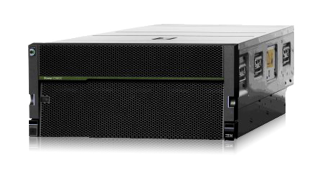 IBM Power Systems deliver fit-for-purpose technology that optimizes workloads, data and cloud to support your most critical business requirements. Capacity-on-demand innovations increase responsiveness and provide new flexibility to meet changing requirements. OpenStack-based cloud management enables DevOps management for full production for AIX, IBM i and Linux workloads. 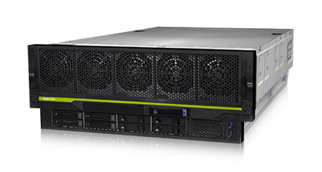 Optimized for private cloud deployment, this large enterprise server offers a unique blend of enterprise-class capabilities in a reliable, space-efficient 4-socket 4U form factor that delivers exceptional performance at an affordable price. Built for transforming your IT infrastructure to a local cloud, this large enterprise server provides increased security, high availability, and rapid scalability with simplified maintenance and management for a world-class enterprise private and hybrid cloud infrastructure. The flexibility of this large enterprise server helps develop a large cloud infrastructure with increased security, high availability, rapid scalability, simplified maintenance and management. Learn how Würth Group enhances efficiency and generates fresh retail insights with SAP HANA on IBM Power Systems. See how South Shore Furniture enables eight times faster transaction processing by upgrading to SAP HANA and IBM POWER8. 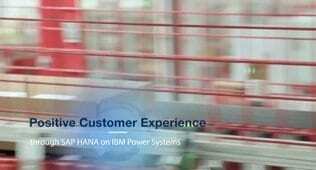 Discover how Coop gets near real-time insight into orders and inventory by migrating its SAP HANA systems to the IBM Power Systems platform. Discover how to get more computing performance while spending less. In just 5 minutes, you can get a good idea of what that can look like.